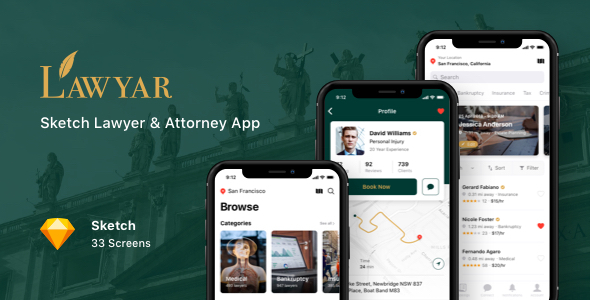 Lawyar is a great Sketch Lawyer & Attorney App designed for lawyers, attorneys, legal office and other law related services. It contains all 33 screens in layered and organized elements. Each screen fully customizable, easy to use and carefully assembled in Sketch. This template is ready to use for iOS app.